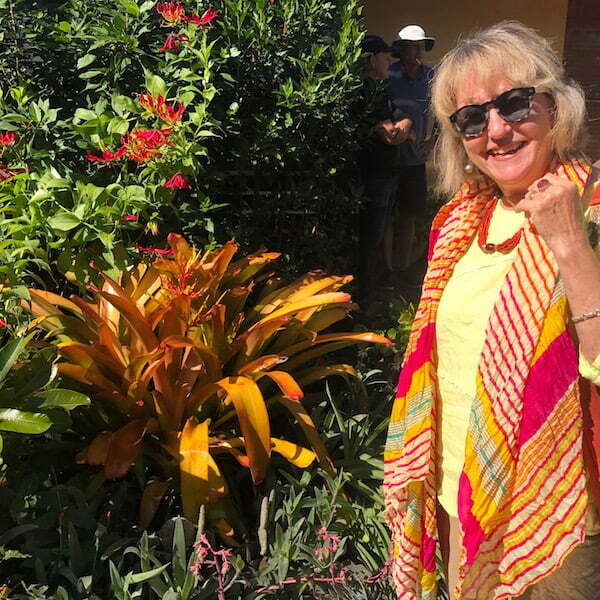 Couldn’t make it to the 2017 ‘Planty Fierce’ open gardens on Sydney’s Central Coast in late April? Hmmmm… Well, in the triumphant words of Julia Roberts in Pretty Woman…BIG Mistake. Big. Huge. 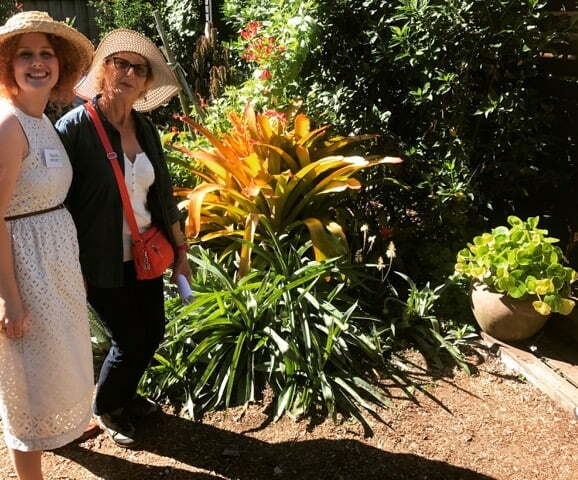 Yes, there are few things more satisfying than driving one’s fellow plant lover friends wild with jealousy. So here’s some photos for you suckers out there that missed all the action – so you’ll hopefully be lured into enjoying it all together with me next year! 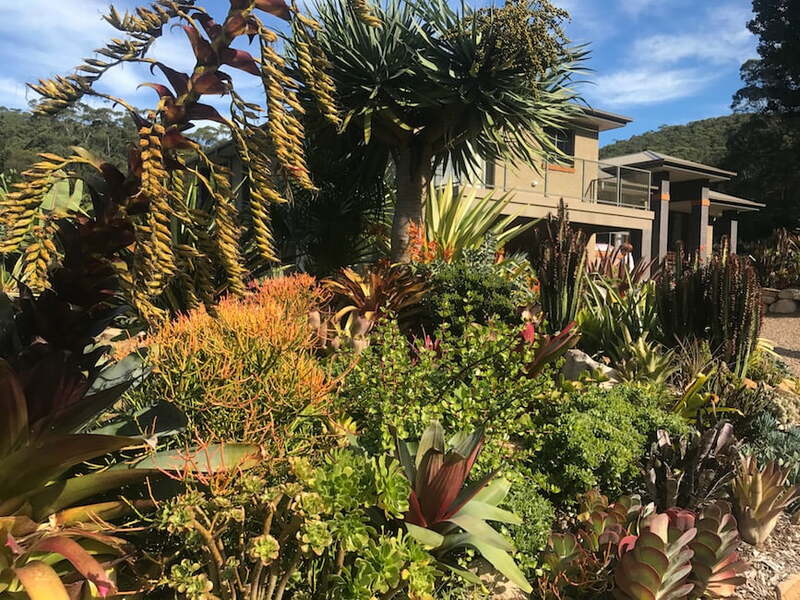 Three fabulous gardens were on display – ‘Sea Changer’ by Peter Nixon, ‘Living Edge’ by David Fripp and Blake Jolley, and ‘Paradox’ by Ray Henderson. 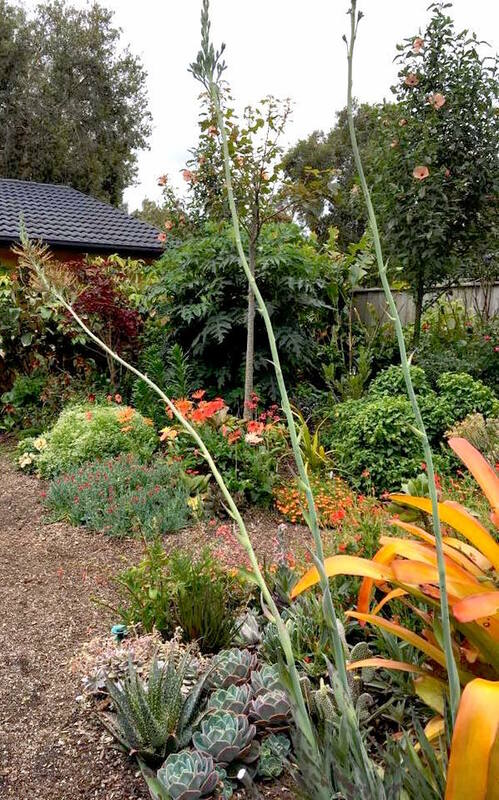 These gardens all feature some wonderfully interesting and unusual plants and cultivars. But so many, such as Pentas, Euphorbias and Bromeliads could really be much more common in our gardens, because these super tough plants are perfect for the cool subtropical climate here. 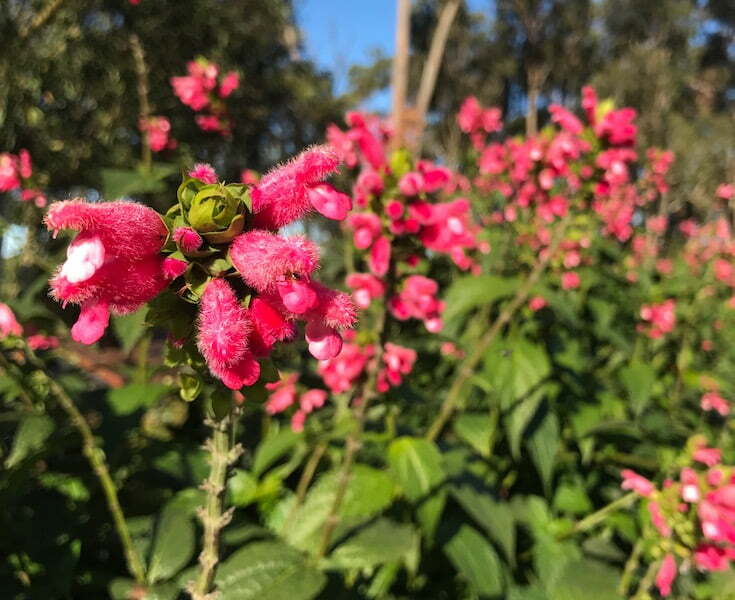 They plants are so suitable in fact, that they practically take care of themselves once established, requiring much less water and maintenance than many plants more popularly sold in mainstream local nurseries. 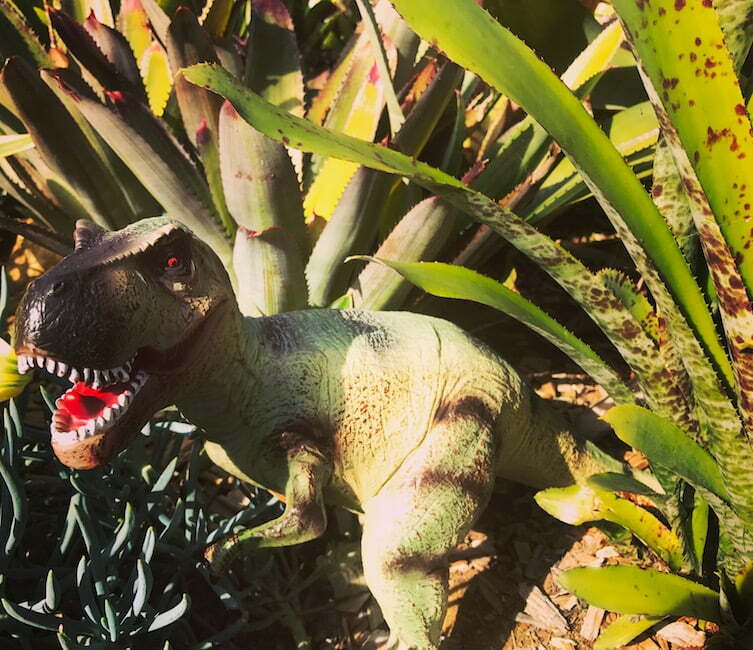 But it’s hard for nurseries when they’re only answering the demand created by so many of us still clinging to our slightly deranged dreams of growing plants from Mediterranean and cold climates. You see, in areas of the world like Sydney and Florida, we get more rain in summer than winter, along with a handful of other teeeeeny weeny climactic differences such as the fact that WE DON’T GET FROST!!! Completely the reverse of what happens in many climates classified as ‘mediterranean’ and ‘cold climate’. Been wondering why your English Lavender, Lamium, Lily of the Valley, Luculia gratissima most Roses, your Hayward Kiwifruit and White Birch trees aren’t thriving in Sydney? It’s too hot and humid!! And the sooner we all cotton onto this and start growing for our own climate, the easier we make it for us, and our plants and gardens. Rant over, let’s see some pictures. 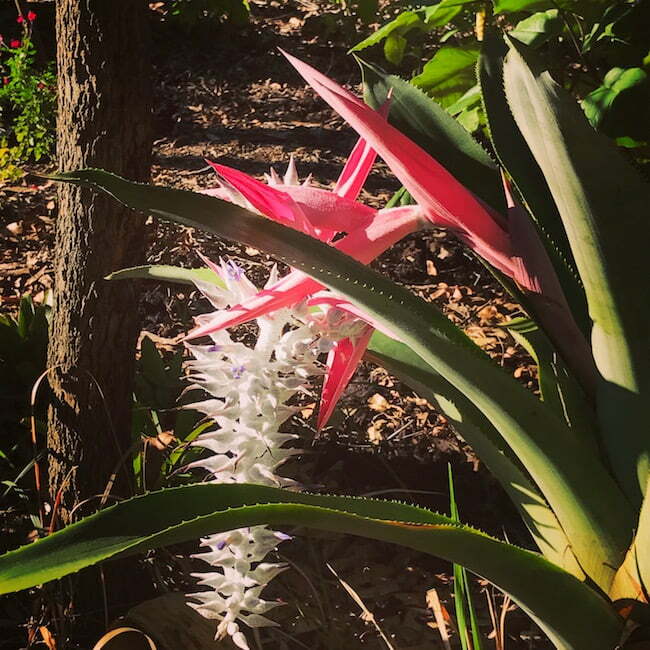 Some of the visitors to ‘Sea Changer’ fit right in with the bright pops of colour, such as the bright yellow of these Aechmea blanchetiana bromeliads. 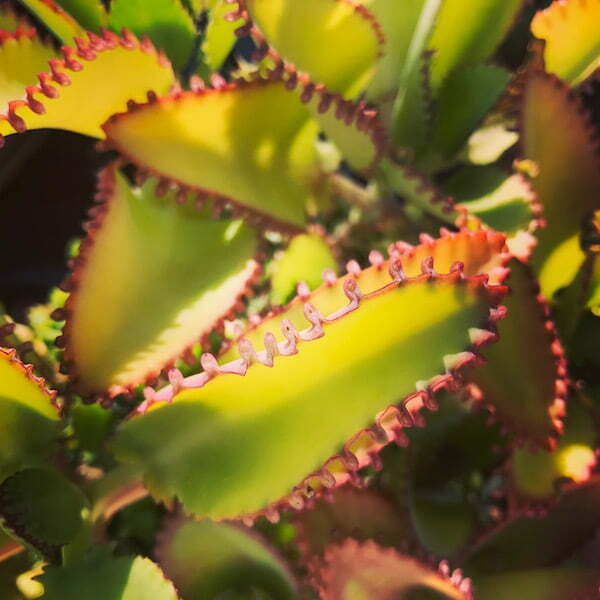 Unusual Kalanchoe succulents on offer from Coachwood Nursery on the lawn outside ‘Sea Changer’. Mary Matthews and I helped answer questions together with a fantastic group of fellow volunteers at ‘Sea Changer’. Senecio jacobsenii (right) with Neoregelia ‘Skotaks Tiger’ at rear, and a Mini Neoregelia cultivar at front. I like the way designer Peter Nixon has allowed the Senecio to trail onto the ground, rather than keeping it trimmed shorter than the base of the pot. 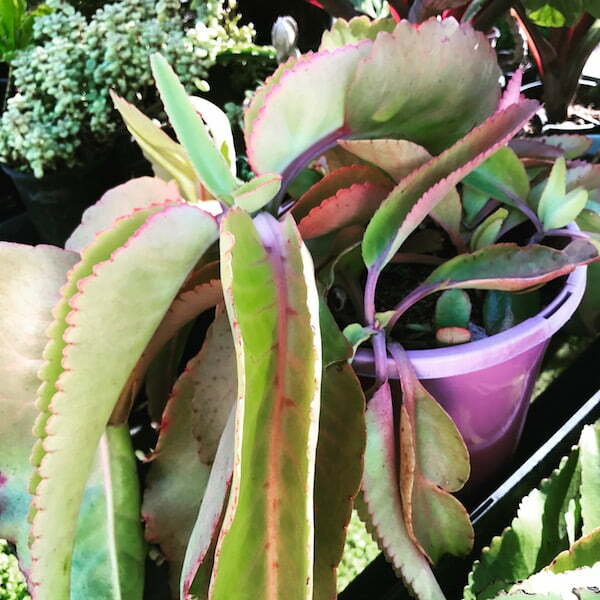 Another unusual Kalanchoe on offer by Coachwood Nursery, this one with a purple flush to the leaf. Alcantarea imperialis ‘Rubra’, Solenostemon ‘Frogsfoot’, Lomandra confertifolia subsp. confertifolia and Justicia betonica demonstrating the wonders of combining the right leaf colours and textures. 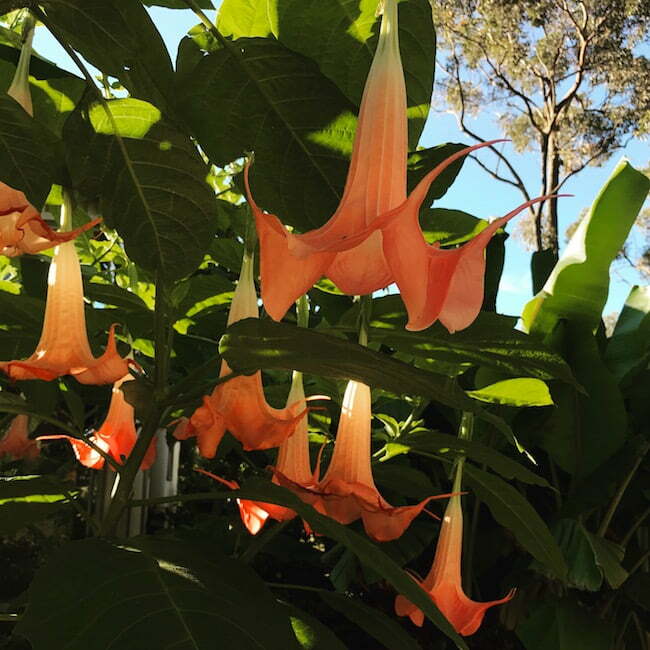 Angels Trumpet (unnamed cultivar of Brugmansia) glowing toward dusk. Don’t you love it when you make the effort to go to the weird corners at the back of a garden, and get rewarded with something you’ve never seen before?! This is a pretty special bromeliad, Ursulaea macvaughii. This Salvia oxyphora was a knockout. Gorgeously composed succulents in a simple terracotta pot – (from left to right) Euphorbia tortilis, Aloe ‘Christmas Carol’ Mammillaria cv. and Sempervivum cv. I think I’m in love with Aloe ‘Christmas Carol’. 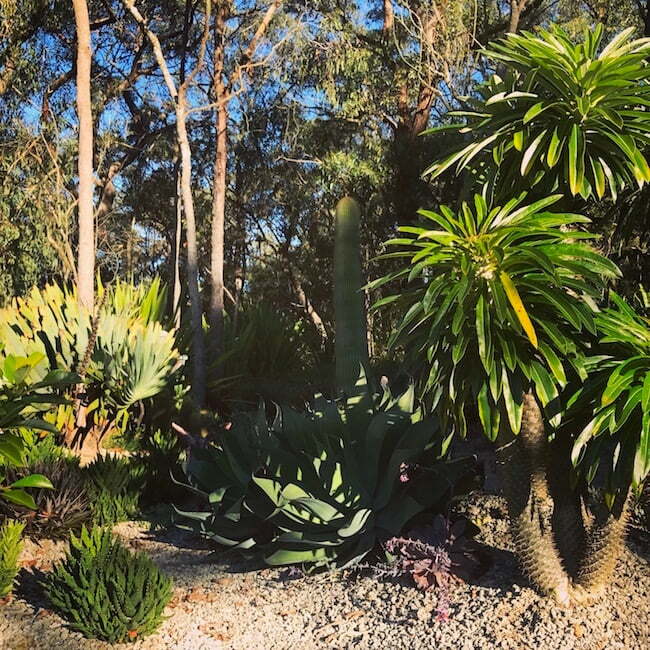 Madagascar Palm, Pachypodium lamerei against the backdrop of the Australian bush. 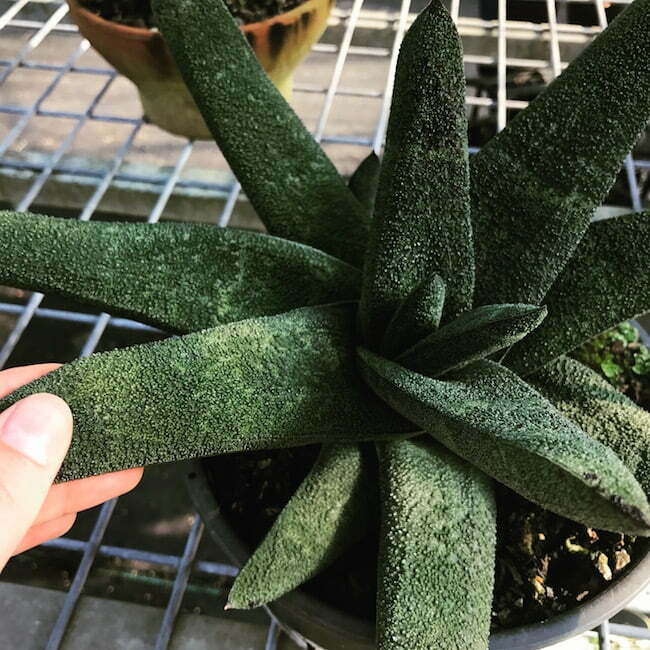 A very unusual looking Gasteria batesiana, notice the sandpapery texture on the leaves and dark green tubercles (they’re commonly white in most Gasteria species and cultivars). 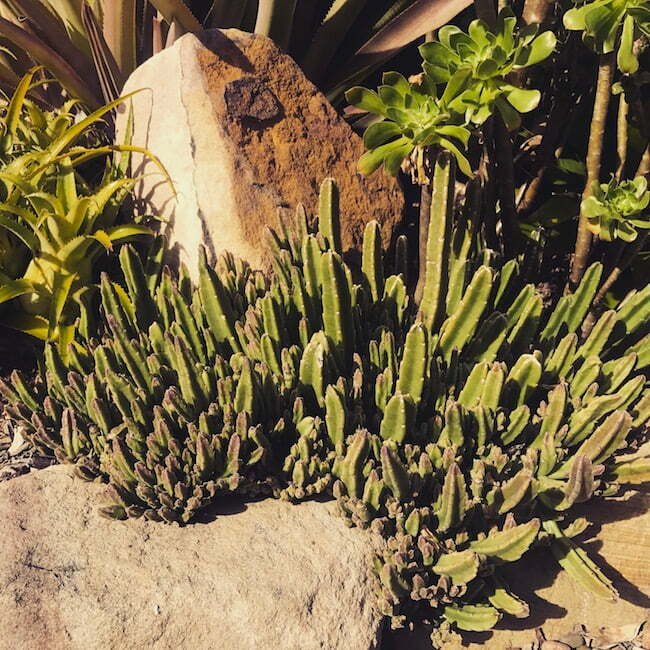 Euphorbia polygona ‘Snowflake’ just hanging out being fabulous amongst the rockwork. Alcantarea imperialis showing us how to REALLY flower leading up to the house entry. I never knew Stapelia could be so fabulous, did you? Euphorbia ‘Sticks on Fire’ adding that hit of orange to the landscape (mid-ground). So I’ll definitely be seeing you next year at Planty Fierce, right?? Yes? Excellent. I went… And missed most of the glorious details you photographed. I can’t wait for next year now! Tsk tsk Laura, where were you looking?! 🙂 Only kidding. 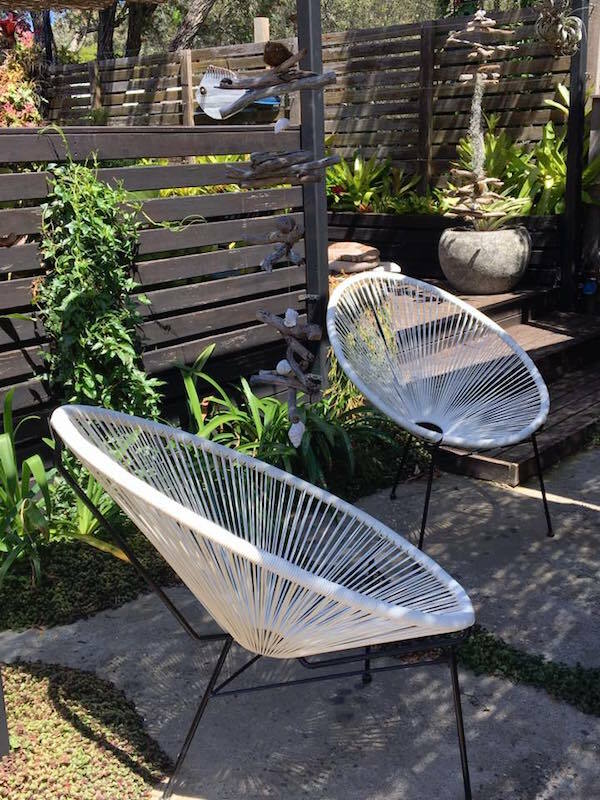 Have you ever noticed that really good gardens can take several visits to truly appreciate as a visitor, as there’s so many layers to take in? So great that you’re inspired to go again next year.